Note: In this example we are using 32-bit versions of Vista and Windows 7. Make sure you are logged in with Administrator credentials. 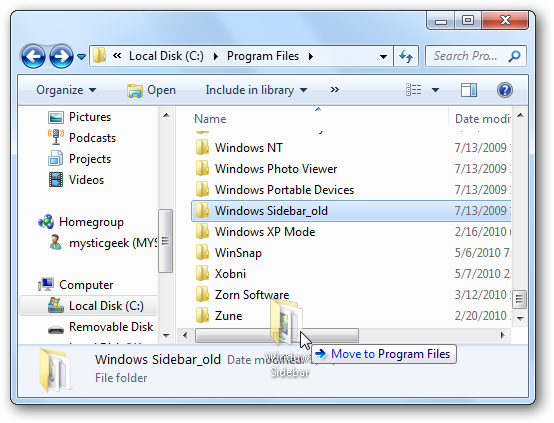 If you have a Vista machine running, we can copy the Windows Sidebar files over to the Windows 7 machine. 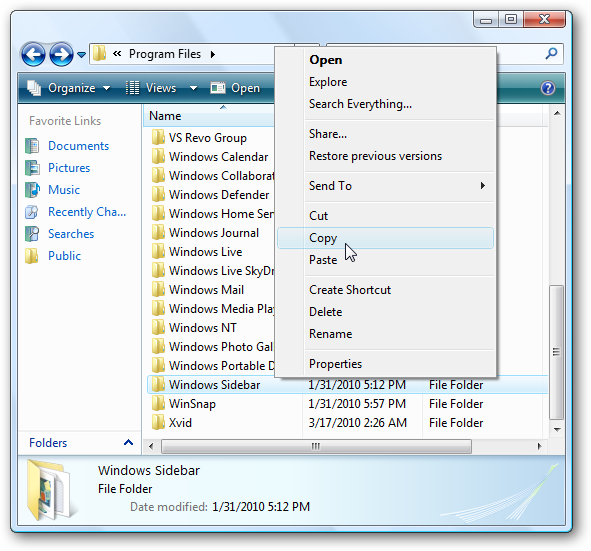 On the Vista machine navigate to C:\Program Files and copy the Windows Sidebar folder and all of its contents over to a flash drive or network location. 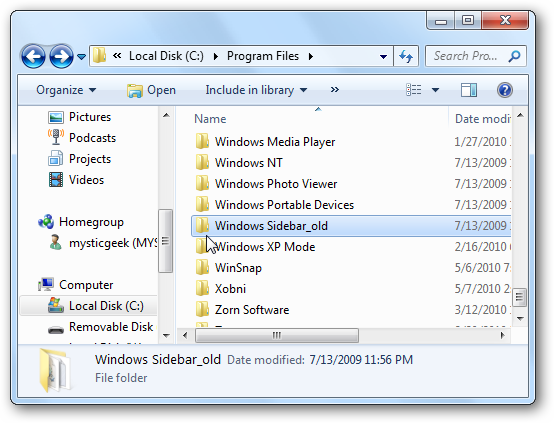 On the Windows 7 machine go to C:\Program Files and rename the Windows Sidebar folder to something like Windows Sidebar_old. 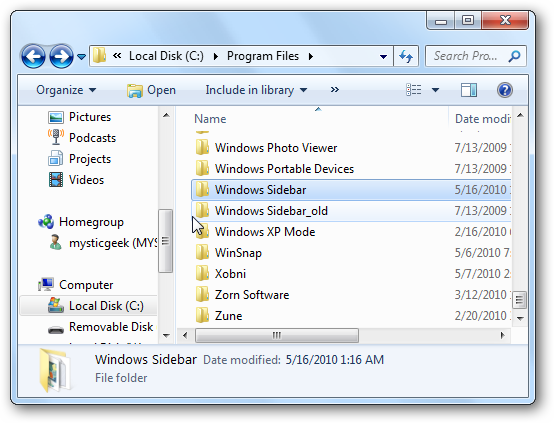 Now copy the Vista Windows Sidebar folder into C:\Program Files. 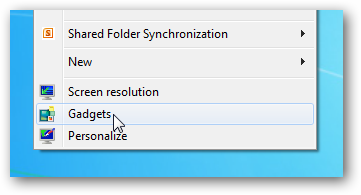 Now you will have both folders…Windows Sidebar and Windows Sidebar_old in your C:\Program Files folder. Right-click on the desktop and select Gadgets. 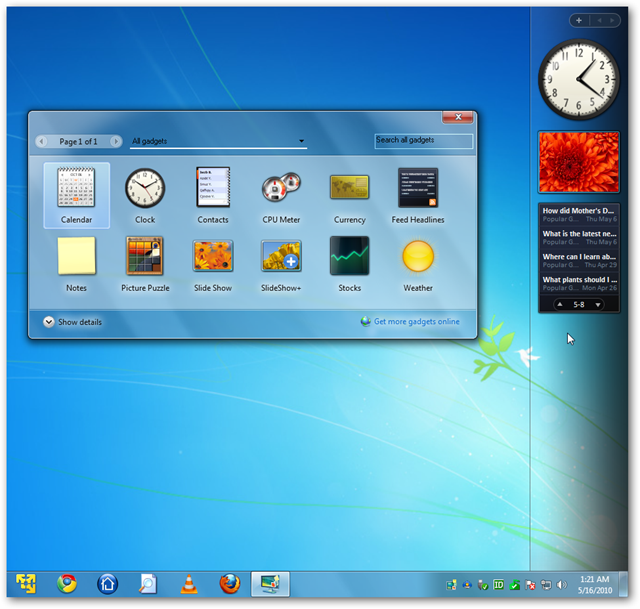 The Original Vista Sidebar is back and will act as it did in Vista.